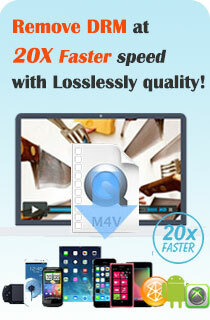 Android Video Converter - rip DVDs and convert videos for your Android phones. Aura DVD Ripper, the easiest and most powerful Android Video Converter, enables you to rip DVD, convert videos and download YouTube videos for your Androids. With Aura Android video converter, you can convert any format of video like MPEG, 3GP, FLV, WMV, VOB, etc. into MPEG-4 and H.264 format that runs successfully on your androids, and enjoy your videos in your androids. Aura Android Video Converter even rips DVD movies, downloads and converts YouTube videos into android compatible formats. Besides, the Android video converter lets you burn videos to standard DVD disc and Blu-ray disc. Find out all supported input and output formats of Aura DVD Ripper. Now download the free tiral of Aura Android Video Converter. Acer AOD250, Acer Aspire One, Acer beTouch, Acer Liquid, Acer Liquid E, Acer Liquid Ferrari, Acer Stream, Altek Leo, Garmin Asus A10, Google Nexus One, Google Nexus S, HTC Desire, HTC Dream, HTC Hero, HTC Legend, HTC Nexus One, HTC Tattoo, HTC Wildfire, Motorola Backflip, Motorola Cliq, Motorola Devour, Motorola Droid, Motorola FlipOut, Motorola i1, Motorola MileStone, Samsung Behold II, Samsung Galaxy, Samsung Moment, Sony Xperia X10 mini, and many more. Supports all popular portable media devices like Androids, iPod, iPad, iPhone, PSP, etc. Simple editing function like DVD/video cropping, effects, etc. Ripping DVD movies to Android videos is one of the most important functions of Aura DVD Ripper, the versatile Android video converter. After downloading and installing the Android video converter, run the program, insert your DVD to the drive, click the Open DVD button to load the DVD movie to Android DVD ripper program. Select titles or chapters that you want to rip for your Android phones, choose a output format that is supported by Android phone, and then hit the Convert button. After conversion, just open the output folder to look for the converted videos and transfer them to your Android phone for watching later. No matter it’s AVI, MPEG, WMV, MOV, or not often seen video format like DVR-MS, the Android video converter can handle it well and convert it to any supported format. You can convert MPEG videos to Android videos, convert WMV videos to Android videos, and even download and convert YouTube videos for Android phones, and more. Click the Add Video button, or just drag and drop selected videos to the Android video converter program, select output profile, and then hit the Convert button. Converted videos are stored in the output folder as specified by you, or by default. Get the converted videos and transfer them to Android phones and enjoy them on the go. Just remember that Aura DVD Ripper can do a lot of things besides converting videos for Android phones. Downloading and converting YouTube videos to Android phones is another great function of Aura Android Video Converter. Sometimes you may want to download the online YouTube videos from the website to your Android phones to watch and enjoy on the go. Android Video Converter is the best choice for you to not just rip DVD and convert videos to Android, but also download online videos like YouTube videos, Nico videos, Goolge videos, etc. and convert for your Android phones. It's quite simple for you to get YouTube videos on your Android phone. You just need to copy the URL of the YouTube videos, then click the Download button of the Android video converter, paste the URL in the form. Here you can paste URLs of YouTube videos as many as you like, the Android video converter supports batch downloading of YouTube videos. And then choose the output format that is for your Android phone, click the Convert button to start downloading and converting YouTube videos to Android videos. There's a pretty good chance you (or someone you know) got an Android phone this holiday. Get games like Angry Birds, Fruit Ninja, Dungeon Scroll, Game Dev Story, etc. 26 Mar 2010 ... Read Android phone reviews and compare the latest phones. Get news on new phone releases and learn about everything Android. Feel interested in Aura Android Video Converter? Now download the Free Trial of Aura DVD Ripper to test first. Do you want to own Aura DVD Ripper? Now you can get all of Aura4You 12 programs at just $ 49.95 $ 24.95 for a lifetime license. Buy now!